Welcome to St. Augustine Catholic High School! St. Augustine Catholic high School is a college-preparatory high school. Our mission is rooted in Catholic values. We endeavor to develop the unique and valuable qualities our students possess. 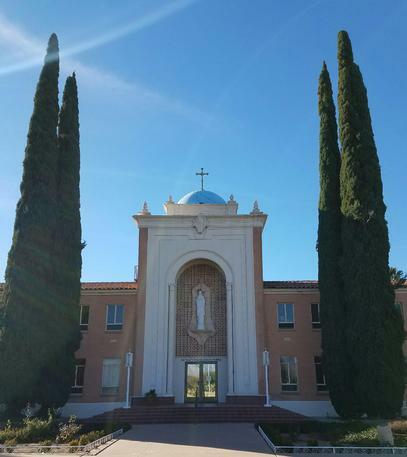 We are on the site of the former Diocesan seminary at the southeast corner of Camino Seco and 22nd Street. The campus is convenient to all of Tucson and surrounding communities, including Vail, Rita Ranch, Sahuarita, and Davis-Monthan AFB.